How to frame new and old newspaper articles. Ever wonder Why Old newspaper articles turn yellow? Basically it's why your old newspaper articles turn yellow after time. Now if you decide to frame your article in glass this same process will occur. But if you decide to mount and preserve your new and or old articles with In The News Inc we use a different process. Every plaque is handcrafted by our designers using the industries latest state-of-the-art equipment. We’ll mount the original article to a ¾ inch wood base, which is then hand-stained, beveled, and set with trim according to your preferences. Each plaque includes a personalized engraved plate that details your achievement in gold or silver lettering with a black overlay. The precise workmanship of our skilled team is evident in each and every finished piece. We use this process in order to preserve your document forever. The "Heat Seal" is the key. As you read previously the air and exposure is what wears down the acutal paper. Once the lamination of the article new or old is sealed to the wood the document is no longer exposed to air lessening the papers yellowing to take place. Let's test it out send us some old newspaper articles or new ones and we will send you one of our plaques for inspection. Let us send you our product to inspect up close and personal for 10 days with no obligation. 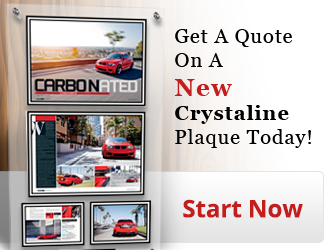 As a first-time customer, you will not be invoiced until you have received and examined your custom wall plaque. If you are not 100% satisfied, return shipping is on us! All of our plaques are custom made and best of all they give you a beautiful picture frame effect. In addition to creating custom wall plaques of magazine or newspaper articles can we do anything else? Yes! We can preserve almost any paper artifact or document, such as diplomas, DVD jackets, or photographs. Additionally, we are happy to create customized award and recognition plaques, too. Please visit the product section for a full list of specialty items you can have preserved. So the next time you are in the market for a frame why not consider a plaque company that can deliver a new way to hang your memories. 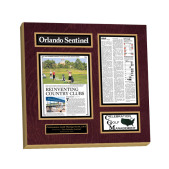 Here is your chance to see what your article new and or old would look like on one of our custom framed plaques. 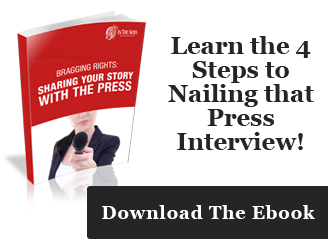 A free digital preview of your article in one business day. 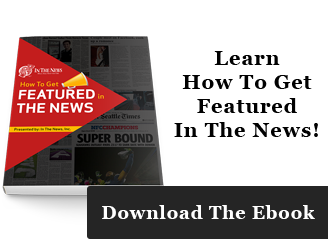 To get started click on our button below to see your actual article sent to your email as a free preview.